Are you searching for a new dentist? Maybe you've moved too far to keep seeing your old dentist or your current dentist is retiring. Regardless of the reason, if it is time to pick a new dentist, you might be filled with a million questions and not want to even start. Our staff at DentalWorks in Canton, MI knows how you feel and we can make it easier for you. Whether you've got dental anxieties and require a practice that offers sedation methods or a pediatric practice to take care of your kids, it’s crucial to choose the ideal dental practice that suits your needs. We've assembled a list of useful hints that will help guide your search. Look at our tips to help you decide on a dentist that'll reveal your best smile. With smart phones, tablets, and laptops, tons of info is in your hands. Start your hunt for your dental practice with a quick online search by typing “board-certified dentists in Canton, MI.” Do you want a general dental practitioner or perhaps you will need a pediatric dentist to take care of your kids? If you’re thinking about enhancing the look of your smile, then you should be searching for a dentist who offers a lot of cosmetic treatments. If you don't need to begin with a procedure or treatment, schedule an initial consultation. Most practices are willing to talk with potential clients so they will feel comfortable before their first procedure. It is also possible to get in touch with a practice to find more info about their policies as well as the specific treatments and procedures they offer. You shouldn't have too much trouble finding the actual address as well as when they are open on their website for most dental clinics. You should think about if their location and hours are convenient for you. Do you need a practice that’s very close to you or are you prepared to travel a bit farther for the perfect dentist? Are you going to be visiting the dentist from your house, workplace, or school? Do they provide emergency treatment or late hours? You'll want to be able to get in touch with someone at the practice (most often a professional answering service or a 24/7 telephone number) in the event of an urgent dental situation. This might be important if you have a facial injury. Friends and family are an excellent source who can give you great recommendations. Ask some of your friends and neighbors where they go to the dentist and what they think about the practice. Reviews found online may also be useful; however, it’s essential to remember that unknown sources might not be dependable. A low rating based on a single individual's encounter does not necessarily mean that you won’t enjoy that practice. Similarly, a great deal of good testimonials don’t automatically indicate you will have a great experience. Consider different information when browsing stories such as cleanliness, the simplicity of getting an appointment, the attitude of the staff and dentist, and state-of-the-art technology. Take a look at their site to find out more information about them. What cosmetic treatments and advanced restorations are available? What technology and equipment do they have to help make sure your procedure is successful? When you've selected a couple of prospective practices, it may help to evaluate their formal education and additional training. A professional profile on the dentist(s) should be featured on their site. Find out which dental college they went to. Your dentist will ideally be certified with a professional board. Earning this board-certification shows that they are committed to giving great care to their patients and will stay dedicated to updating their skills. To maintain board-certification, a dentist is required to attend additional professional education. 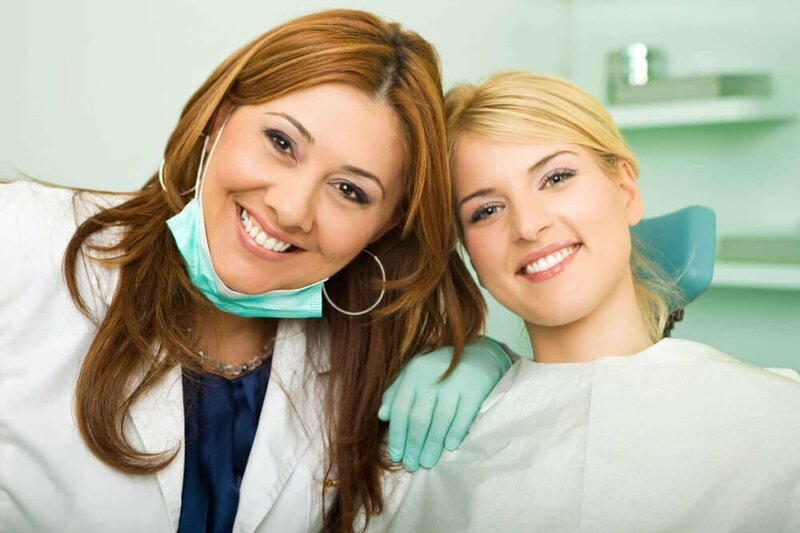 You want a dentist who will focus on offering comprehensive dental treatments and who will work hard to establish a good relationship with patients. Even though we don't suggest selecting a practice based only on their prices, cost is a significant element. At your first meeting, ask how much they charge for an oral examination and professional cleaning. You should look up the typical price of dental treatments based on your location online. It is generally not a great idea to select the cheapest practice in regards to your oral health because this probably means poor quality restorations or out-of-date tools and methods. However, prices shouldn't be especially high. Opt for a practice whose prices run close to the average. If you're using dental insurance, please look at your policy to determine what practices are considered in-network. Additionally, look to find out exactly what benefits you can still get with a practice that's considered out-of-network. Find out from the front office how they manage dental insurance claims as well as charging for your out-of-pocket expenses. For patients without insurance, do they provide a reduced fees? Do they give payment programs or help locating medical financing with low-interest. Having to discover a dental practice in Canton, MI who'll help you improve the health of your teeth, gums, and jaw while also focusing on your peace of mind might feel difficult, but it doesn't need to be. Start your search with a couple of key terms in Google, ask your family and friends for recommendations, and do just a bit of research on some dentists. Schedule a couple of consultations and ask as many questions as you want. It won't be long before you'll be sitting in the practice of a trusted dentist who will offer you the professionalism and care you deserve. We hope we've helped make your search easier and make sure you take a look at our blog for great tricks on how to keep your family's smiles strong and healthy.